This is my first week participating in the weekly Scavenger hunt photo challenge that is posted each Sunday and is hosted by Ashley Sisk at Ramblings and Photos. Each week Ashley given 5 words and the challenge is to, through each photographers interpretation, put those words into a photograph. I really love seeing all the different interpretations of each word by blog hopping to other sites. Everyone does such a great job! 4. Link up on Sunday (or Monday at the latest) - you can use the new button. 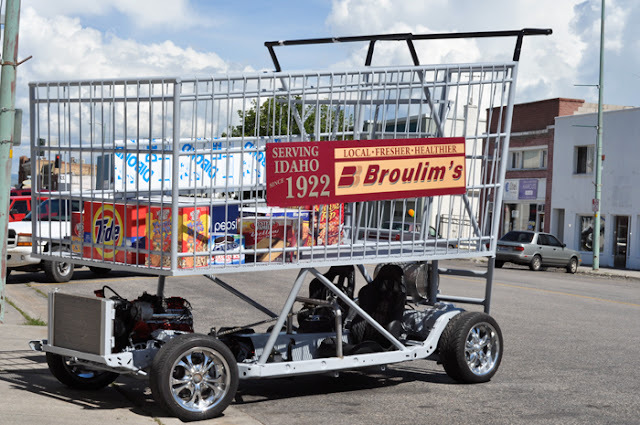 This past Saturday was the beginning of the Eastern Idaho State Fair. I have been going to this event for as long as I can count. I am not so much into the rides, I much prefer the exhibits, food, animals, food, equipment and did I mention FOOD. 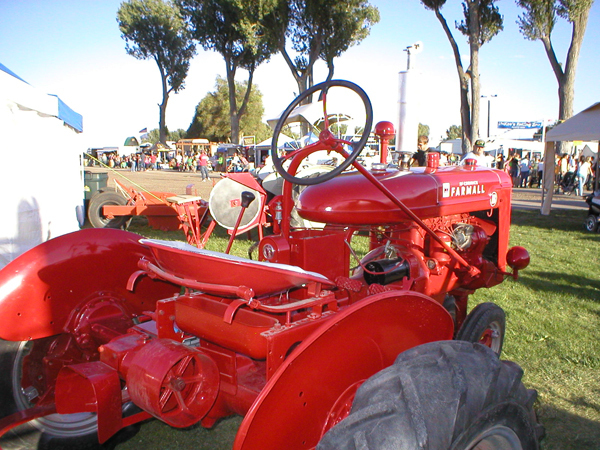 Red is for an antique Farmall tractor, I actually remember driving one of these. Boy did I just date myself. Okay I can see you asking "What does this have to do with Homespace?" Well, after doing a day of G-shopping, which by the way I really dislike, parked right next to me was this HUGE-normous shopping cart. Motorized, the size of a suburban and equipped with all the essentials. Appears as though I was parked it this carts HOMESPACE spot. Did I mention that I have the privilege to live on a working cattle ranch? I didn't, well I live on a working cattle ranch. Most of the range is fenced of by cross fences due to the fact that there are just too many rocks in the ground to drive a post into. 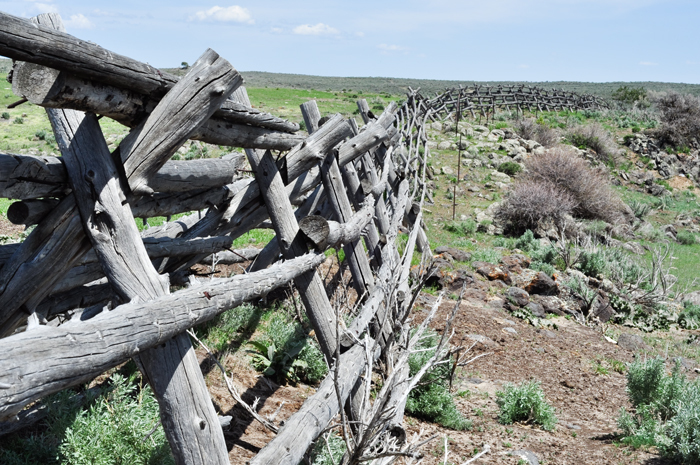 Some of these fences are original to the range and date back close to 100 years. I just love the history of where I live. What would this challenge be if I didn't share a bit of history. This is a stone (rock) Sheppard. 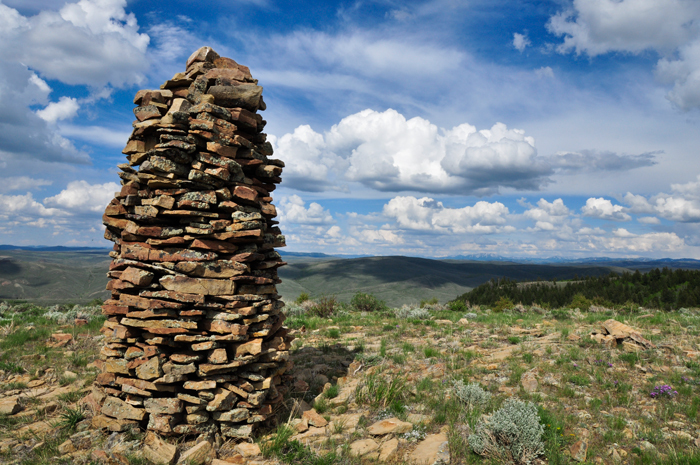 It sits on the edge of a mountain top and stands almost 10ft tall. Story goes that when the sheep herders bought the sheep onto the summer range the herders would start the sheep up the mountain then they (the herder) would ride to the top and wait for the sheep. Why they were there they would pile rock, one on top of the other, forming the stone Sheppard. Once completed, BTW, took days, the sheep herder didn't have to watch the sheep, he could take a nap perched at the base of the stone Sheppard. Thus leaving the sheep watch to the stone Sheppard. As long as there was something bigger and meaner looking than any predictors, the sheep were safe. What would a western story be if I didn't post a photo of the Sharp looking guys that are always hanging around the ranch. 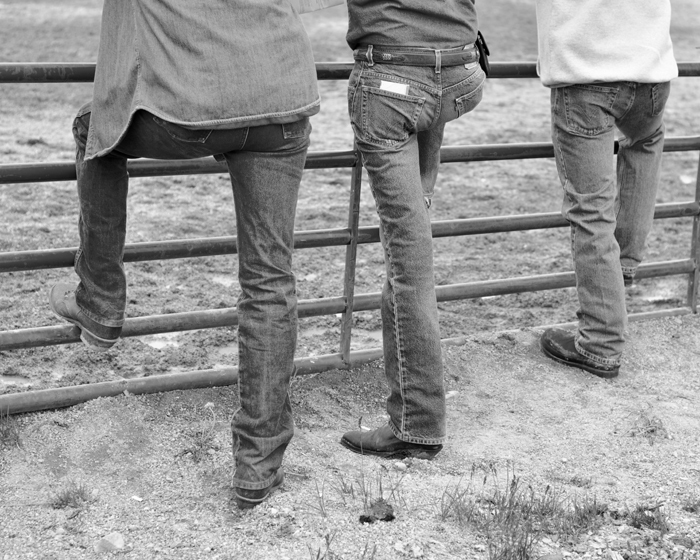 Guys, boots, buckles and Levis. I'm so glad that you've joined the scavenger hunt - these photos are excellent...all of them. I'm now following and look so forward to seeing more from you. Great work! Ooh, a red tractor. You don't see these often, especially in my world of toy vehicles. The stone shepperd photo (and the story) is wonderful. As for your sharp interpretation, it made me giggle. Love the stone shepard story and it's a great photo! great photos, I love your fence and sharp photos! Just checking your blog out for the first time. 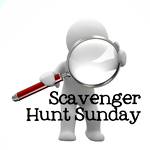 I love your Sunday Scavenget Hunt photos. That fence and rock tower are amazing! I love these. Great photos! Fence, Rock & Sharp ---- so cool. The fence shot is amazing!